A new product, IR reflective acrylic sheet is a continuous cast acrylic sheet containing an innovative component distributed uniformly throughout the material. This aspect means that the component will not heat or form out of the material. 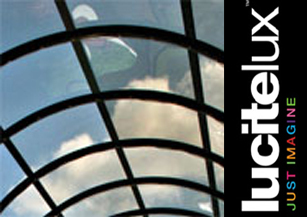 IR reflective acrylic sheet will effectively reduce heat transmitted through windows and skylights during the summer months. This ground-breaking technology also reduces heat lost during the winter. IR reflective acrylic sheet also appeals to the design community because of its pleasing aesthetics. The iridescent effect compliments many modern designs from fashion to architecture. The technology in IR reflective acrylic sheet often evokes feelings associate with happiness and comfort. These calming effects are due in part to the color reaction exhibited when IR reflective acrylic sheet transforms from serene blue to glistening gold based on the angle of view and light surroundings.